NHL News : Habs acquire Nate Thompson in what looks like a steal of a trade! Habs acquire Nate Thompson in what looks like a steal of a trade! Habs pull off a steal of a trade. The Montreal Canadiens have just pulled off what look to be a little bit of magic. According to an official announcement from the Canadiens official website, the team has acquired veteran forward Nate Thompson from the Los Angeles Kings and they have given up nearly nothing in order to do so. The only other pieces involved in this trade deal are a two draft picks and they are quite similar to one another in spite of being in different rounds of the draft. The Canadiens will receive a fifth round draft selection at the 2019 National Hockey League Entry Draft from the Kings, a draft pick that previously belonged to the Arizona Coyotes, and going back the other way to Los Angeles will be a fourth round draft pick from the Canadiens, a draft pick that previously belonged to the Calgary Flames. It is the origin of these two picks that make this move seem like a complete steal for the Canadiens and you have to wonder what the Kings were really looking for in this deal. Due to the Coyotes being so low in the overall standings their fifth round pick will be an early fifth rounder, while the Flames on the other hand are red hot which will result in them having a very late fourth round pick. Realistically here what we are talking about is a movement of maybe 10-15 spots in the late rounds of the draft for the Kings, while the Canadiens get a player out of the deal. 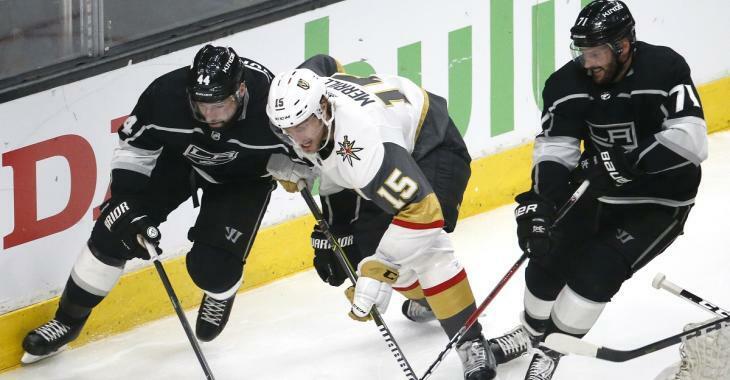 Thompson has appeared in 52 games for the Kings this season and in spite of the tremendous struggles the team has had around him he has managed to put together a respectable season for himself. His 4 goals and 2 assists for a total of 6 points in those 53 games are not particularly impressive totals but in spite of his low offensive output he has remained a positive player on a bad team with a plus minus rating of +3 on the season. That kind of responsible player up the middle of the ice would be an ideal fit for the defense first system that has always been preached by Montreal Canadiens head coach Claude Julien and would also seem to mesh well with the values that are held by Canadiens general manager Marc Bergevin.